HELSINKI: Scientists in Finland have developed what they believe is the world’s first vaccine to protect bees against disease, raising hopes for tackling the drastic decline in insect numbers which could cause a global food crisis. Bees are vital for growing the world’s food as they help fertilize three out of four crops around the globe, by transferring pollen from male to female flowers. 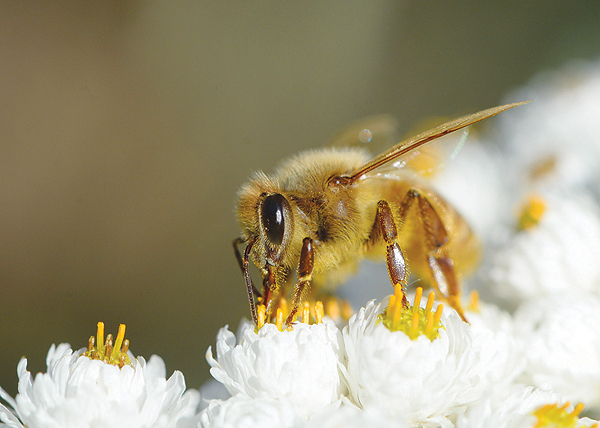 But in recent years bee populations around the world have been dying off from “colony collapse disorder”, a mysterious scourge blamed on mites, pesticides, virus, fungus, or some combination of these factors. UN-led research in 2016 found that more than 40 percent of invertebrate pollinators, particularly bees and butterflies, are facing extinction. The study also found that 16.5 percent of vertebrate pollinators, such as birds and bats, are under threat. Scientists warn that the die-off will result in higher food prices and the risk of shortages. The vaccine, developed by a team at Helsinki University in Finland, works by giving bees resistance to fight off severe microbial diseases that can be fatal for pollinator communities. “If we can save even a small part of the bee population with this invention, I think we have done our good deed and saved the world a little bit,” lead researcher Dalial Freitak said. “Even a two-to-three percent increase in the bee population would be humongous,” she told AFP. The pair started to collaborate and created a vaccine against American foulbrood, the most globally widespread and destructive bee bacterial disease. The treatment is administered to the queen bee via a sugar lump, similar to the way many children are given polio vaccines. The queen then passes the immunity to her offspring, spreading it through the bee community. As well as working on vaccines against further diseases, the team has also begun trying to raise funding to make the vaccine commercially available, with “very positive” feedback so far, according to Freitak. “There are many regulatory hurdles. Four to five years until reaching the market is an optimistic estimate,” she said. Diseases are believed to be just one of a number of reasons for the loss of pollinators, alongside pesticides and intensive farming, which reduces the diversity of insects’ nutrition. But the team believes that protecting bee populations against disease will make them stronger, and therefore better able to withstand the other threats. The European Union and Canada have voted to introduce bans on insecticides based on neonicotinoids after studies showed the chemicals harmed the ability of bees to reproduce. UN-backed research in 2016 estimated that up to $577 billion (511 billion euros) worth of food grown every year relies directly on pollinators. The study said the volume of food produced that depends on pollinators has risen by 300 percent in the last half century.